Using Essential Oils for Postpartum Recovery-Do They Work? Over the last couple years, essential oils have become quite popular. People use them as a natural means to cure dozens of ailments. My mother swears by them and uses them every time someone gets sick. Personally, I’ve always been a skeptic and, for a long time, I felt like essential oils were really just a fad with a huge placebo effect for people using them. However, as my kids have gotten sick, my mother has always had a regimen of essential oils she’s recommended to help them get better. Skeptically, I’d give them a try and, sure enough, after days (sometimes weeks) of being sick, my kids would miraculously get better not long afterwards. I was still skeptical, but started to wonder if they really do work. The turning point for me occurred when I was pregnant with my last son. I got quite sick and turned to essential oils when nothing else would work. Because of the success I found with them, I’ve started using them much more in my home. For those of you that may not know, let me briefly explain what essential oils are and how they work. Essential oils are liquids that are distilled from the roots, stems, leaves, flowers, or other parts of the plants in question. These oils are very highly concentrated and have the essence of the plant they’re distilled from. The chemical composition, as well as the aroma of these essential oils, are advertised to have numerous physical and psychological therapeutic benefits. They can be used for postpartum recovery, keeping kids well, aromatherapy, cleaning, and so much more. Most places sell them for outrageous prices but my favorite place to get them from has great quality essential oils for half, sometimes a third or less, of what other brands sell for and I absolutely love them! They’re one of the only brands certified as organic (a huge plus) and they’re very reasonably priced so that anyone can use them. I’ve put this together so that other moms out there can get the benefits from essential oils during their postpartum recovery without breaking the bank. 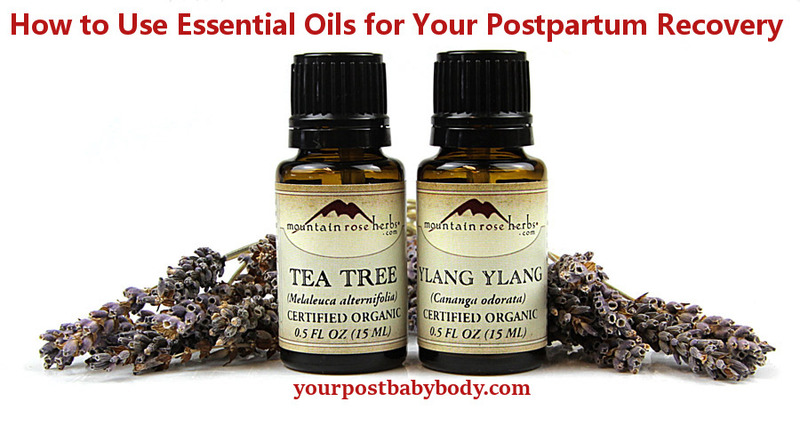 There are dozens of ways essential oils can be used for postpartum recovery. They can be used to treat after pains, c section incisions, cramping, postpartum bleeding, postpartum depression tearing, and so much more. I have a table below that lists a number of different ailments mothers suffer from postpartum and how they can be treated using essential oils. They can also be used for nursing to increase/decrease your milk supply, heal mastitis, and ease breast pain. Like I said above, you don’t need to go all out and purchase dozens of essential oils. 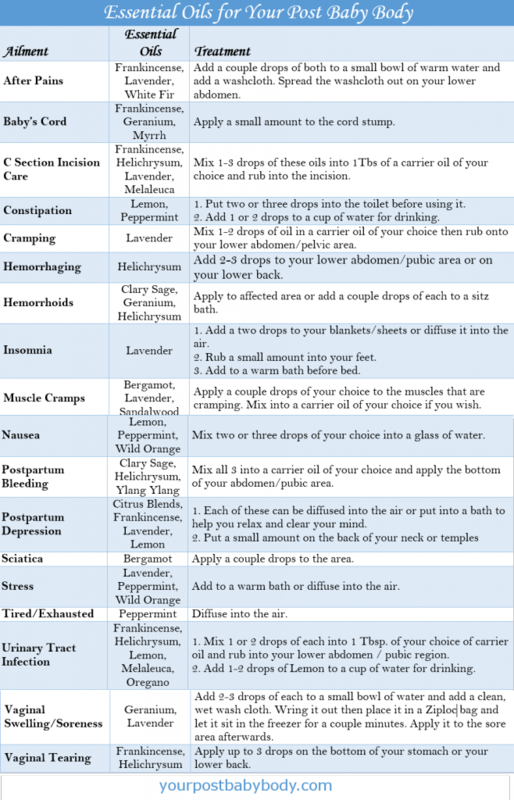 Go through the tables below, decide which oils you’d benefit the most from, and go from there. I have 6 that I like to always keep on hand because they each have several uses for you. You really don’t need to go all out and purchase several hundred dollars worth of oils to start using them in your home. I keep just a small handful of essential oils for postpartum recovery in my home, another set to help keep my kids well, one for cleaning, and one for aromatherapy. I also don’t go for the most expensive brand out there. 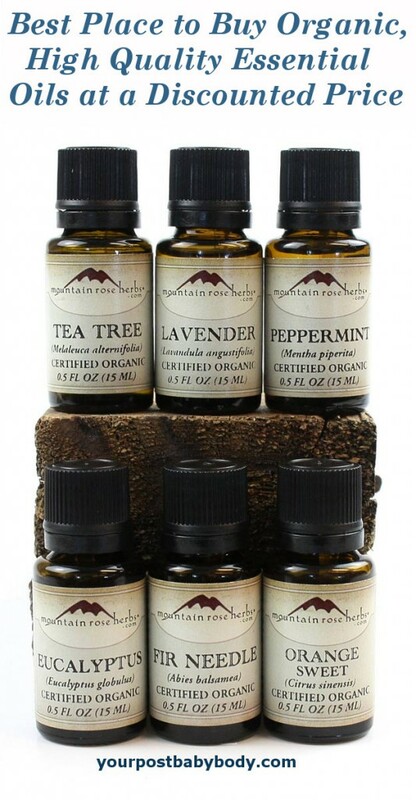 I’ve had very positive results with Mountain Rose Herbs’ Essential Oils. They’re one of the only producers of essential oils who can say their oils are organic, and for the first time, organic doesn’t mean triple the price! They’re much less expensive than some of the other big names out there so that they really are accessible to all families. 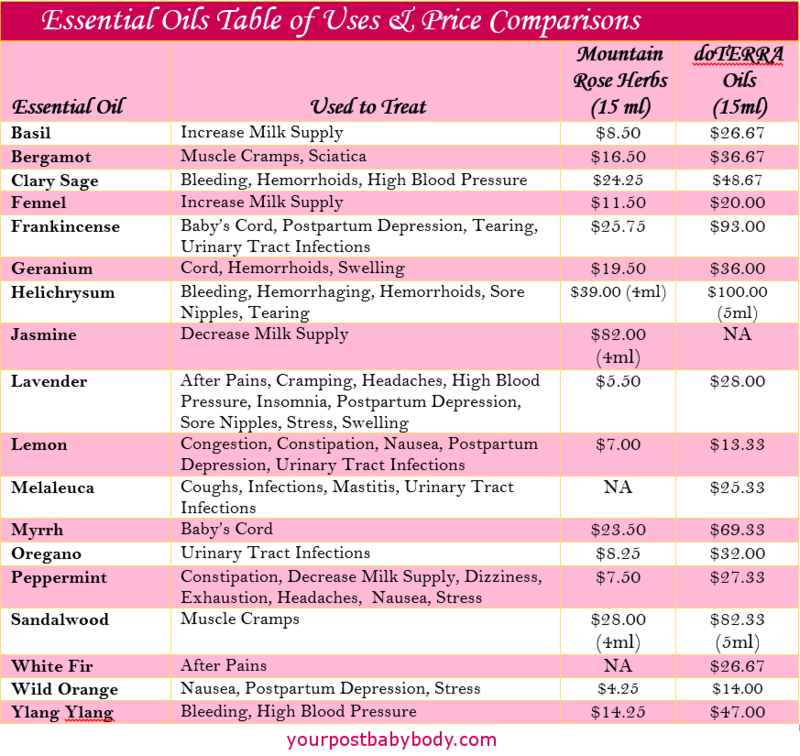 If you’re interested, I actually have a price comparison chart below showing what Mountain Rose Herbs Essential Oils cost vs another big name in essential oils. One reason I never wanted to get into essential oils before was because they’re expensive. With Mountain Rose Herbs, I can use them in my home for me and my boys without worrying about not being able to afford them. If you are going to invest in essential oils, I’d highly recommend buying them straight from the producer rather than going through Amazon, Ebay, or another third party. Since they’ve grown so much in popularity, many people purchase them, dilute them or put cheaper oils into bottles, then sell them at “discounted prices”. To stay safe and get real quality products, you should buy them directly from the source. If you’ve read other posts on my site, you’ve probably seen that I really like to do my research. I like to know I’m getting good quality products for my money. I want the same for any of you reading and if you have any questions for me don’t hesitate to ask. I do answer all of them. Keep in mind that many of these oils have dozens of uses I haven’t listed. The uses I’ve given are specific to caring for your post baby body and nursing. What do you think of these essential oils? Do you have any questions or comment? Please let me know by leaving a comment below! I was like you too, a skeptic when it comes to hypes like this. But after attending a body and spa class where they use essential oils as part of the ingredient, I am actually starting to love these products. We made creams, body scrubs and massage oils based on our aroma preference and it was a very good experience as we learned the properties of each essential oils. And yes, I do agree with you that they don’t have to cost a bomb. If you can get the recipes to make these products on your own, whether for pampering yourself or for postpartum care, you can save yourself a lot of money. That is really cool 🙂 I would love to attend a class like that where you learn to make creams, body scrubs, and massage oils with essential oils. I’ve found recipes online that I love using in my home but the atmosphere of a class focused on those would be really awesome. For a long time, the biggest thing stopping me from using essential oils was the cost. When I came across Mountain Rose Herbs and saw the quality of their products as well as the cost, I was excited that I finally had a way to afford them. I was aware of some of these oils but never saw as thorough of an explantion of the variety, treatment use and how to use it. Are any of these oils ever taken orally, like in a tea? Some of the applications recommend using a diffuser – can you use a vaporizer? Also, do you have an oil that you use to treat your kids when they have a cold? If they’re diluted then yes, some of them can be taken orally. I like to use a few drops of lemon or peppermint in water for nausea. There are dozens of ways to use them. I typically diffuse them in the air or mix them with a carrier oil before applying them to my skin. I’ve never heard of using them in a vaporizer before. 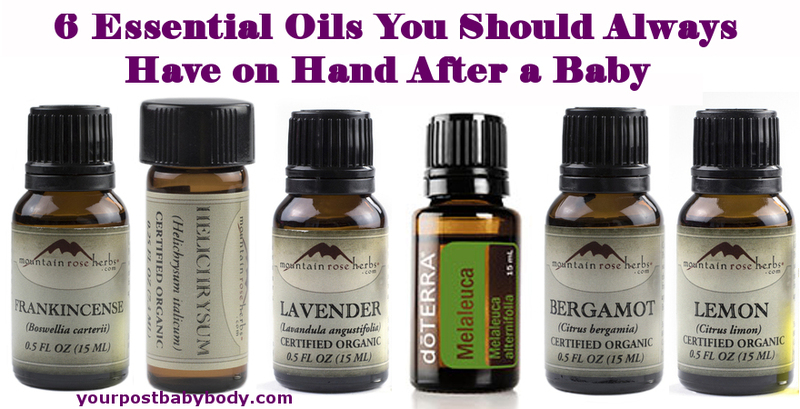 I know that when you heat up the oils they’re broken down and you don’t get the full therapeutic benefits. They still smell great but, you can get a great ultrasonic diffuser for less than $20 and I think those would work better. To treat a cold, I’d use a mixture of peppermint and eucalyptus oil. Add a couple drops of each to your diffuser and let it run for a couple hours. You can also add them to a steamy bath for the kids.